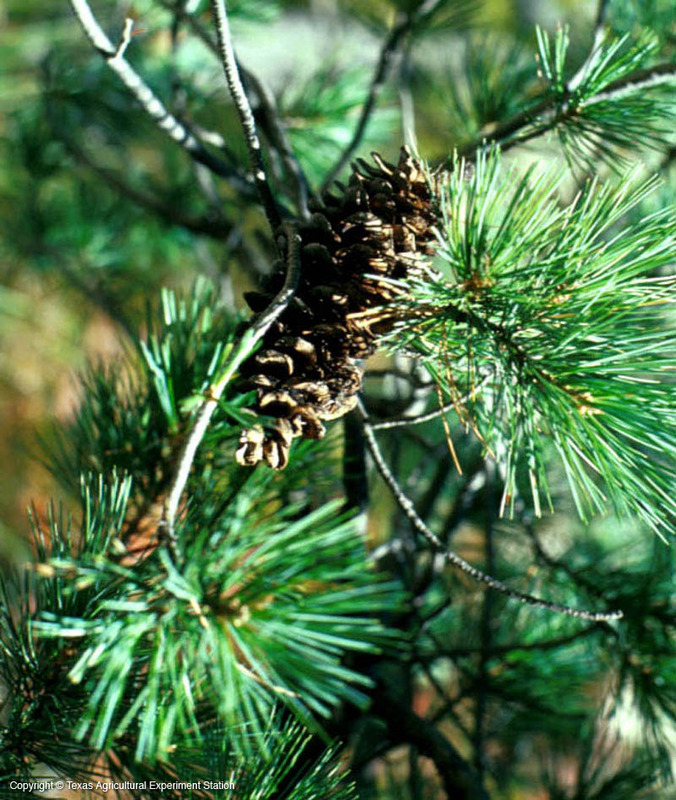 Southwestern white pine is one of the loveliest and rarest Texas pines, with bluish-green needles and light silvery younger bark. It grows high on rocky slopes in the Davis and Guadalupe Mountains of west Texas, sometimes to 90 feet tall. Its needles are finely serrated, 3 to 6 inches long, in clusters of five. The cylindrical cones are 2 1/2 to 10 inches long and without prickles on the scales. Additional Comments: True limber pine, P. flexilis, occurs in the northern highlands of New Mexico.